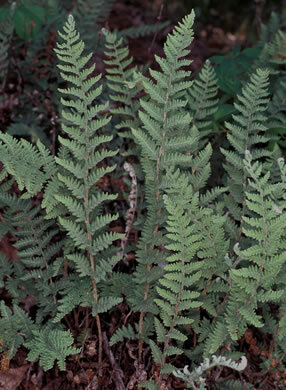 Curls up when dry but revives with rain, per Field Guide to the Ferns and Other Pteridophytes of Georgia. 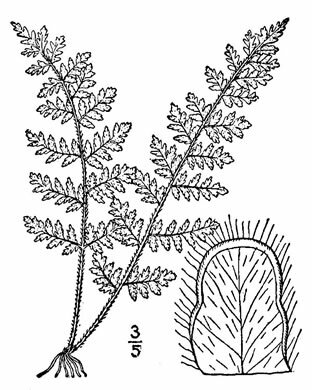 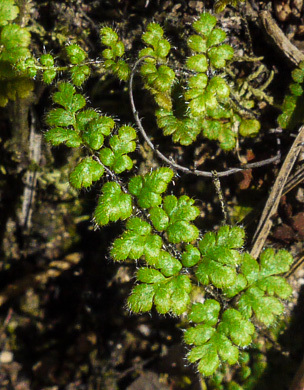 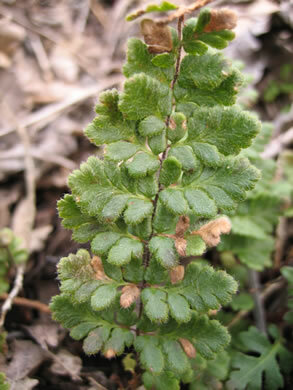 Pinnule lobes have sparse hairs on both sides, per Peterson Field Guide to Ferns of Northeastern and Central North America. 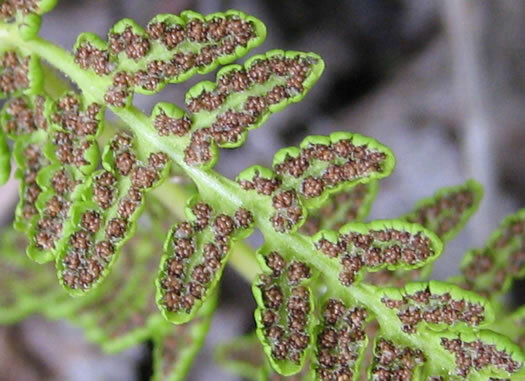 Sori crowded to form continuous line around, & partially covered by, margin, per Peterson Field Guide to Ferns of Northeastern and Central North America. 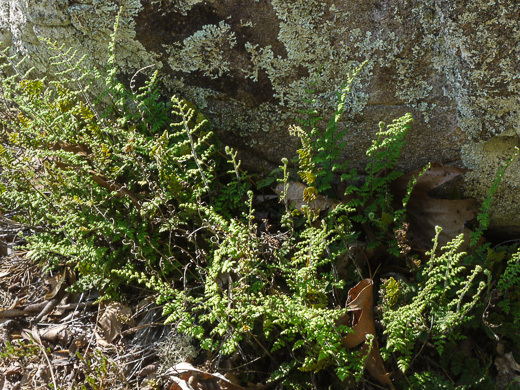 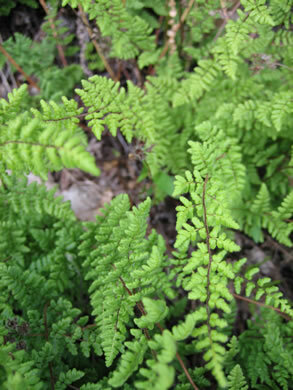 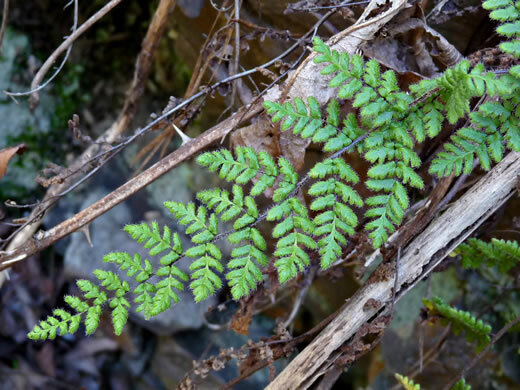 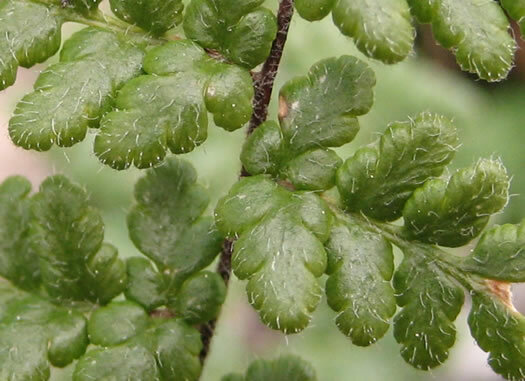 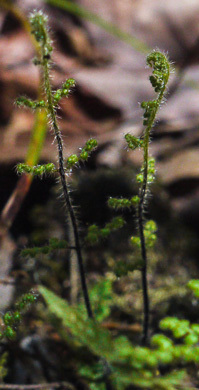 Pinnules lobed to deeply lobed but rarely cut to midrib, sparsely hairy, per Peterson Field Guide to Ferns of Northeastern and Central North America.